Do you know, Avengers: Infinity War was not the first film when Marvel teased Thanos in MCU. Avengers: Infinity War got everyone talking about the galactic anti-superhero from Titan, Thanos. The Mad Titan took everybody in shock when he stumped the Avengers. 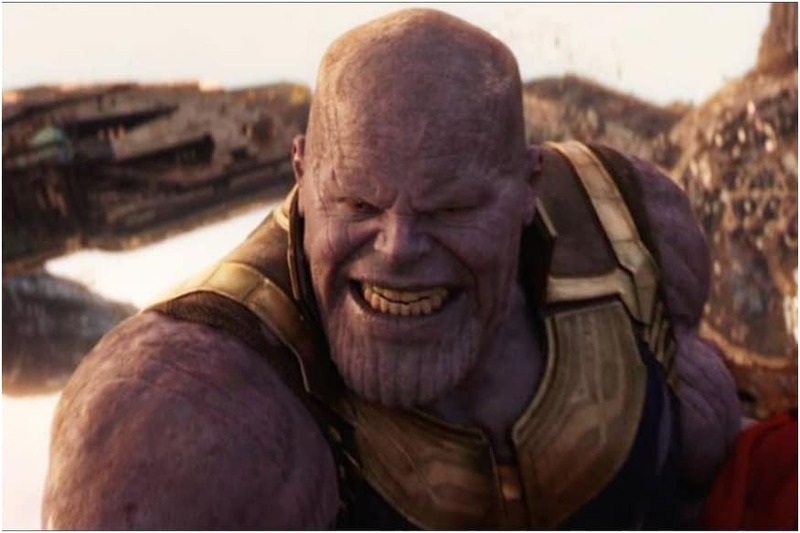 It was the first time in MCU, when a villain had beaten the Earth’s mightiest heroes, successfully collecting all the Infinity Stones and wiping half of the universe with a snap of his fingers. But do you know, Avengers: Infinity War was not the first film when Marvel teased Thanos in MCU. The anti-superhero has appeared as many as five times in the films. In The Avengers Thanos is seen in a cameo appearance in the middle of the end credits scene explaining Loki’s mysterious survival. In the beginning, his identity is not revealed. Arriving on Earth Loki is contacted by Thanos who warns him that if he fails to help him conquer the planet Thanos will make him know a new kind of suffering. When eventually the God of mischief is defeated, The Other complains that the Earth’s inhabitants are not as weak as they had imagined and says that challenging the Avengers would be to court Death. In Guardians of the Galaxy, we learn that the Mad Titan is the adoptive father of Gamora and Nebula. However, the role of Thanos was essayed by Sean Gunn instead of Josh Brolin. In the film, Thor finds out the location of The Orb and sends Nebula after it. But she fails and is trapped. Instead of helping his daughter, Thanos instructs Gamora to leave her sister behind, giving us a glimpse of his grey character and his fateful mission. Making a cameo in the end credit scenes, Josh Brolin reprises his character as Thanos. In the intense and grim scene, he opens a vault to find a stoneless Infinity Gauntlet. Not finding the stones, he decides to collect all the Infinity Stones and destroy the Earth himself. Having acquired all the Infinity stones, Thanos takes up the centre stage and fights the Avengers face to face in an open battle. In the end, he is successful in wiping half of the universe. Thanos hasn’t been on screen until The Avengers but some believe that the very first fingerprint of Thanos appeared in MCU during the post-credits scene of Thor. The scene which showed Loki, who was apparently killed after his fall from the broken Bifrost Bridge of Asgard is seen alive and plotting to steal the Tesseract. Marvel teased the character in the first Thor and even Ragnarok in a scene which showed the secret vault beneath Asgard which apparently had the eye of Aggamoto aka Time Stone, infinity gauntlet and other artefacts as well. Josh Brolin will reprise his role in Avengers: Endgame, which is slated to hit the screens in April 2019.